‘Tis the season to find the perfect personal gift for your coworker – whether it’s your beloved ‘work wife’ or the mysterious guy that fixes your laptop. Sometimes it can be difficult to know where to start and what you can even get with such a tight budget. To help you out, we’ve got 20 of our favourite picks – 10 under a fiver and 10 under £10. The perfect gift for someone who already loves being organised, or someone who needs a prod in the right direction! This tidy desk pad will boost productivity, featuring a daily checklist and note sections for the whole day. Who doesn’t love tea… and E.T.? This cute little coaster is a great gift for the colleague who manages to drink endless cups of tea – plus no one wants to see tea rings all over the desk! This Shot Spinner is perfect for the office party animal – all they’ll need is alcohol, as the spinner and shot glass are included! After a particularly tiring meeting, what could be more relaxing than spending a few peaceful minutes colouring-in unicorns? Encourage your colleagues who get particularly stressed out to take a break with this colouring-in book. Give all self-professed foodies a challenge with this fun card game full of trivia. Do they know their Fettuccine from their ceviche? It’s time to set the score straight and put their gastronomic knowledge to the test! Spread the festive cheer with these cute festive friends – it’s a lucky dip, so it’ll be a surprise to you too! If you’ve got a slightly bigger budget, buy a couple and make them race each other. Every office has someone that comes in on a Monday morning full of the latest Kardashian gossip. Give them a perfectly-sized book full of words of wisdom from the one and only Kim Kardashian. Have you picked the fellow colleague who conveniently never has any spare change for the vending machine? Give the gift of this emergency money box, ideal when that 3 o’clock slump takes over and they’re in desperate need of a sugar hit. Help that one colleague who’s always fidgeting burn off some of their excess energy with a desktop ping pong set. With a net included, the portable kit takes just a few moments to set up and is bound to stir up some healthy workplace competition over lunchtime. 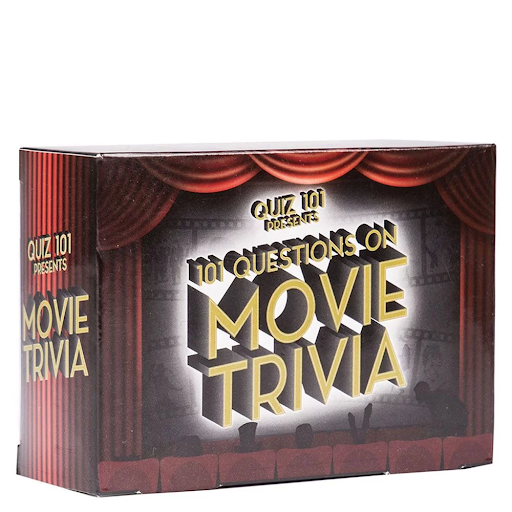 Movie trivia is always a hot topic around the office, so make a game of it and get someone the Movie Trivia Quiz, boasting 101 questions about the world’s most famous films. You’ll soon find out who the real film buffs are! These fiery concoctions are sure to impress and delight anyone who loves an added kick in their dishes. 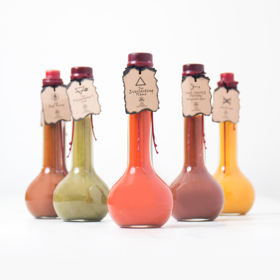 The apothecary bottle adds an extra-special touch, full of tastebud-tingling ingredients from all over the globe. 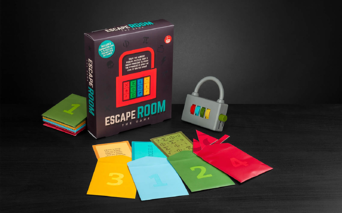 Everyone loves a good brain teaser, and this Escape Room Game offers your colleagues the chance to work together as a team to try and solve the clues. 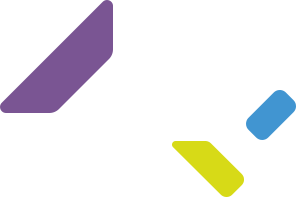 There are over 256 combinations in the game and 16 different puzzles to get stuck into! This fancy if somewhat unnerving-looking contraption works to reduce tension by stimulating the nerves in your scalp for a relaxing massage. After a busy day, there’s nothing quite like it! Treat someone in your office you know needs a bit of pampering. Every team has got someone with an impressive beard...make it all the more festive with these amazing Beard Baubles! Each pack contains 12 clip-on baubles in an array of classic Christmas colours. On a similar note, we also love these Beard Lights for a whole new level of pizazz. You can’t really do much better than the gift of chocolate – except when it’s in the form of a Hot Chocolate Bombe! There are three in each pack, made of thick milk chocolate and filled with mini marshmallows – just add one to a cup of hot milk for an incredible drink. If you’ve drawn someone with a tech-savvy mind, you can’t go wrong with this Motherboard chopping board. 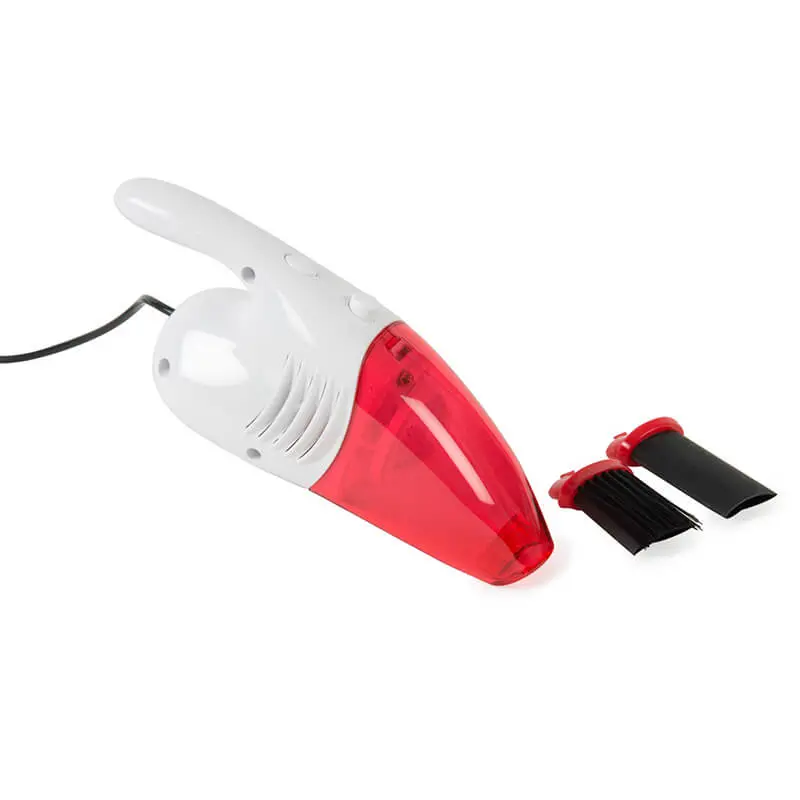 It’s made from practical scratch-proof glass with rubber feet to stop slipping and will add a touch of fun to any kitchen. This one’s a little bit edgy, but will raise a laugh if you know your colleague well enough. There’s always someone who seems to be doing a hundred and one different tasks and projects all at once – use this to show they’re appreciated, or as a friendly reminder to maybe not say yes all the time! With 46 moods to choose from, there’s definitely going to be something that comes close to describing the mood of your recipient – from puzzled to astonished, bouncy to subversive. An excellent choice for someone who you can never quite read. 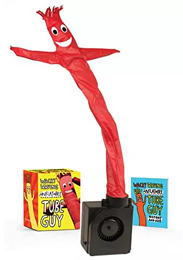 Sure to bring a smile to anyone's face, this waving inflatable tube man wiggles and shakes up to an incredible height of 18 whole inches – perfect to brighten up a dull desk. Powered by a miniature fan in the base, this iconic marketing tool makes the best office accessory. Which Secret Santa gift is your favourite one? 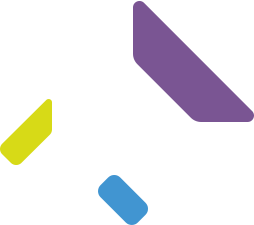 Tweet us @OregaOffices! Another year wrapped up and what a year it was! Are you constantly trying to avoid getting a cold during the winter season, especially when everyone in the office is always coughing or sneezing?